It is vital that you understand how important vitamins are, and how their absence in your body can affect your health and cause fatigue. Vitamin A is one such vitamin, and one that few people associate with the problem of chronic exhaustion. What is Vitamin A and How Does it Benefit You? Vitamin A is a fat-soluble nutrient that is commonly known as retinol. The term encompasses a number of important nutrients. These nutrients include both retinoids - which are derived from animal sources, and carotenoids that come from plants. Together, this collection of nutrients has specific anti-inflammatory and immune properties that aid in human health and help to control fatigue. They also help with cell growth and bone metabolism, improve eyesight, and have a role in the reproductive system. And while different sources of vitamin A can impact health in different ways, many of these nutrients can be converted by the body into what it needs for specific purposes. 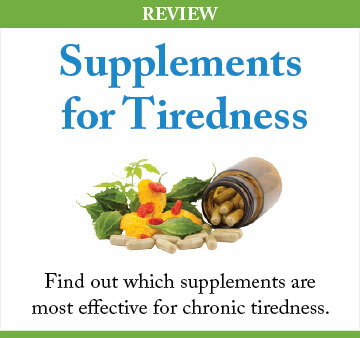 When a deficiency arises, however, fatigue can become a major problem. When the body lacks sufficient vitamin A, it impacts the bones, the respiratory system, and other crucial functions. Those effects weaken the body, leaving the patient feeling tired and ill-equipped to perform even routine tasks. Ultimately, too little vitamin A can result in vitamin A deficiency anemia – which, like other forms of anemia, causes severe fatigue. How Do You Know if You Suffer from Vitamin A Deficiency? It should be recognized that most people who regularly consume animal products such as eggs, cheese, and butter have no trouble obtaining the vitamin A they need. Children and others who eat processed cereals fortified with the nutrient are likewise unlikely to suffer deficiency. For others, and especially people living outside of the developed world, vitamin A deficiency is more common. It is often associated with things like higher child mortality rates, increased viral infection rates, and even blindness. Night blindness, weakened immune response, and heightened susceptibility to inflammation are all common signs that a deficiency exists. Because of the important of vitamin A in the area of human vision, it is these visual symptoms that typically result in a need for testing for this deficiency. As a general rule, if no visual impairment has yet occurred, it is probably safe to assume that other vitamin deficiencies or medical conditions are the cause for your fatigue. There are a few ways doctors can diagnose this deficiency. The best option is, of course, the serum retinol study. However, it is usually only used to confirm a prior diagnosis, since it is extremely expensive. A retinol binding protein examination is the preferred option. It costs less, takes less time, and is easier to conduct. Iron levels are also typically measured, since any deficiency in iron can affect how vitamin A is metabolized in the body. Fortunately, vitamin A is fairly common in many food types. It can be obtained from eating eggs, salmon, cheese, yogurt, sardines, chicken, cod, tuna, shrimp, and cow’s milk. The vegetable sources for carotenoid vitamin A include sweet potatoes, spinach, carrots, kale, winter squash, bell peppers, broccoli, tomatoes, asparagus, green beans, watermelon, and many others favorites. There are oral supplements available for those who need vitamin A and whose diets either lack the nutrient or who have a medical condition preventing its absorption. Five servings of fruits and vegetables a day provide half of the vitamin A needed by most adults.1900 micrograms a day is the recommended allowance for adults, with children needing much less – as low as 200 micrograms for infants and toddlers. Vitamin A is generally safe in normal doses, and when taken by mouth or via injection. High doses can be potentially unsafe, however. Toxic overdose can occur when excessive amounts are taken daily over the course of several months. Over the long term, large amounts of vitamin A can result in fatigue, anorexia, nausea, fever, and other negative side effects. Vitamin A does interact with other nutrients in the body, and actually requires that various proteins be present before it can be transported in the body or used. It also requires zinc and the right amount of dietary fat before the body can properly absorb and use it. Research also indicates that the addition of extra vitamin A can exasperate complications associated with vitamin D deficiency. Drugs that interact with vitamin A include some antibiotics, hepatoxic drugs, and blood clotting medication. It is also not a good idea to take them with retinoid medications for various skin conditions. Because prolonged vitamin A deficiency can result in loss of vision, it is important for patients who have legitimate concerns about their vitamin A levels to speak with their physician. The good news is that the symptoms associated with the deficiency are reversible if treated in a timely manner. As is usually the case, however, the best treatment is always a good dietary plan focused on preventing the problem from occurring. Biotin - aka vitamin B7 - often represents special challenge to fatigue sufferers. Learn how to identify whether or not you have biotin deficiency and what to do about it. Vitamin C is crucial for anyone dealing with fatigue. Learn to identify the symptoms of vitamin C deficiency and how to supplement this one of a kind vitamin.